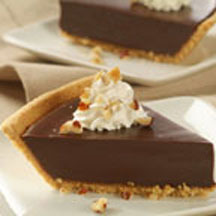 CooksRecipes has quality, kitchen-tested recipes for a large variety of chocolate pies that you can count on for successful deliciousness. 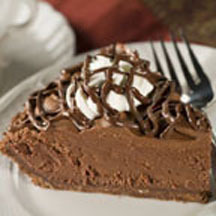 A chocolate-glazed, cocoa-graham cracker crust is filled with chocolate mousse and topped with whipped cream and chocolate drizzle. 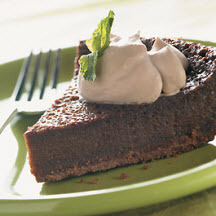 One bite of this smooth and rich pie will have your guests asking for the recipe.